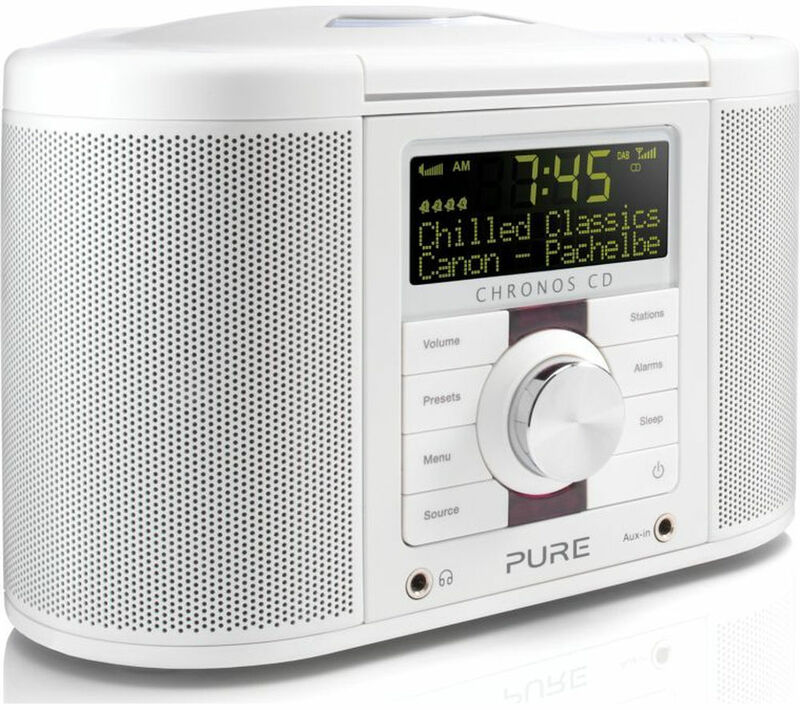 Enjoy functional audio from your bedside with this cool Pure Chronos CD Series II DAB/FM Radio. Don't be alarmed at the many functions of the Pure DAB Radio when it comes to waking you up in the morning. 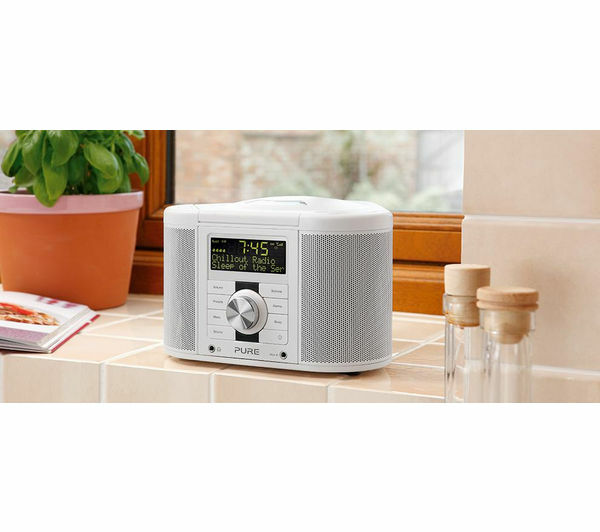 With a radio alarm, CD alarm or tone alarm you can blast out your favourite tunes or start the day off with a calming tone. If you aren't quite ready to get up there is a snooze function that you can use for an extra bit of sleep! Enjoy your favourite albums via CD on the Pure Chronos with 50Hz of sound blaring out in your room. Use your MP3 player or iPod too with the auxiliary-in connection, allowing you to enjoy your audio without being confined to headphones. 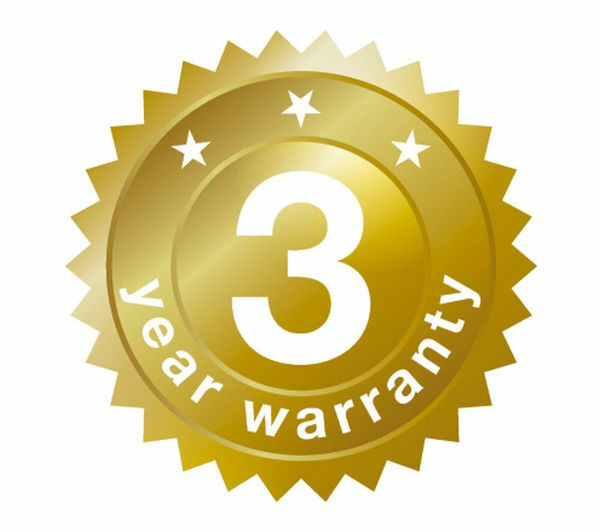 The Pure Chronos II Radio has a sensor that adjusts the display brightness to suit the light levels in your room so you aren't kept awake at night by a bright screen. If you don't want to keep altering the light then you can use the auto daylight saving update, adjusting the light accordingly on the digital LCD display. 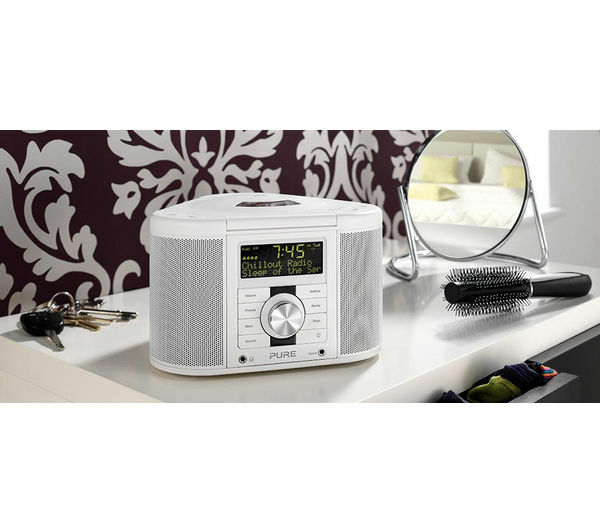 This clock radio comes with textSCAN™ functionality, allowing you to pause and control scrolling text so you can see what song is being played on a digital station. 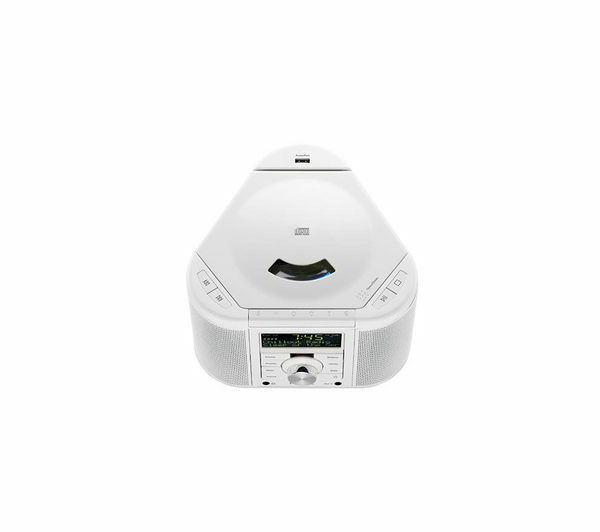 A remote control adds to proceedings, giving you complete control wherever you are in the room.